Whether you are after creating children DIY mini projects, pom poms. wreaths, ornaments, small decorations, post cards, mini cute toys, friendship bracelets or other yarn crafts, this is the yarn for you! Note: MINI Yarn is designed for Small Yarn Project, please check the specification carefully before purchasing to aviod any inconvenience. 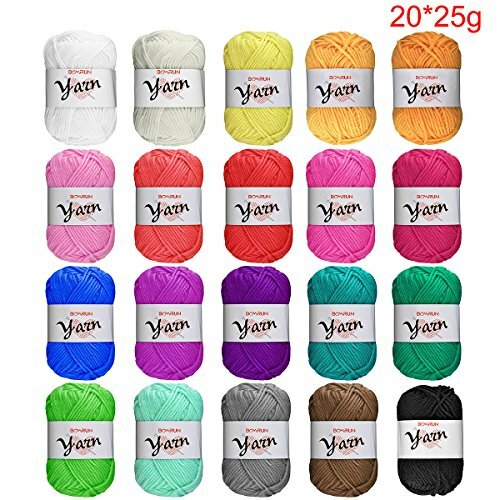 Why buy an entire skein of yarn if you need just a little bit of each color for a small project? Click "Add To Cart" above NOW to try BCMRUN mini yarn and get a premium one year warranty! If you have any questions about this product by BCMRUN, contact us by completing and submitting the form below. If you are looking for a specif part number, please include it with your message.